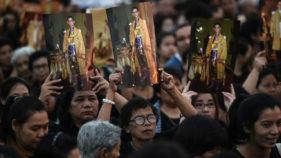 Monks led sombre ceremonies across Thailand Friday to mark one year since the death of King Bhumibol Adulyadej, as the grieving nation prepares to bid a final farewell to the beloved monarch in a spectacular cremation ceremony this month. 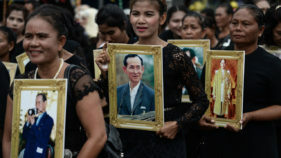 A quarter of a million people are expected to descend on the Thai capital for an elaborate cremation ceremony planned for the late King Bhumibol Adulyadej next month, a junta leader said Friday. 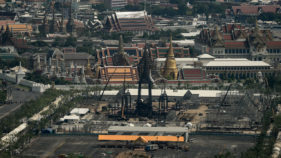 The cremation of Thailand's late king Bhumibol Adulyadej will take place on October 26, just over a year after his death plunged the country into deep mourning, the junta announced Tuesday. 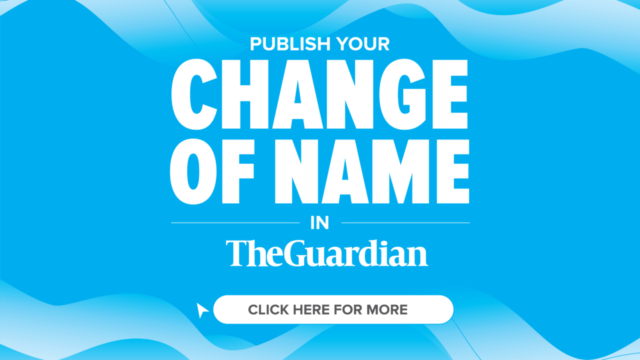 Thousands of Thais gathered on a Bangkok bridge named after the late King Bhumibol Adulyadej on what would have been his birthday Monday, the latest organised mass display of grief in a divided nation adjusting to life without him. 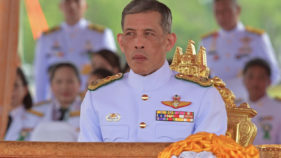 King Maha Vajiralongkorn Bodindradebayavarangkun, 64, took part in a merit-making ceremony at Bangkok’s Grand Palace to mark 50 days since his father’s death plunged the country into grief. 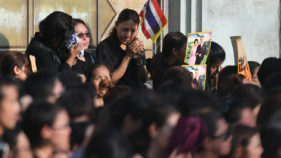 Massive crowds of black-clad Thais lined Bangkok's streets Friday hoping to see King Bhumibol Adulyadej's body borne to his palace, as the nation grieved for a monarch whose passing leaves the country facing an uncertain future. 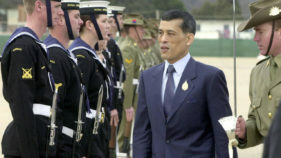 Crown Prince Maha Vajiralongkorn will succeed his father, Thailand's junta chief said Thursday, following the death of King Bhumibol Adulyadej after a long battle with ill health. 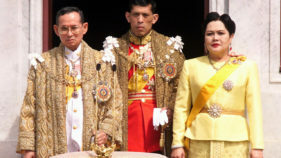 Thailand's King Bhumibol Adulyadej, the world's longest-serving monarch, has died at the age of 88, the palace announced Thursday, leaving a divided nation bereft of a rare figure of unity. 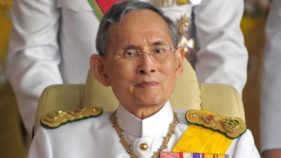 Bhumibol is the world's longest-reigning monarch and is seen by most Thais as a unifying force in a nation bitterly divided along political lines.